stunning product that is sure to delight the fans. The British Airways i360 Viewing Tower at Brighton is 162m high and only 3.9m in diameter – it is the world’s tallest moving observation tower and was officially recognised as the “World’s most slender tower” by Guinness World Records. It was completed in early August 2016 and has already carried almost 1 million passengers. 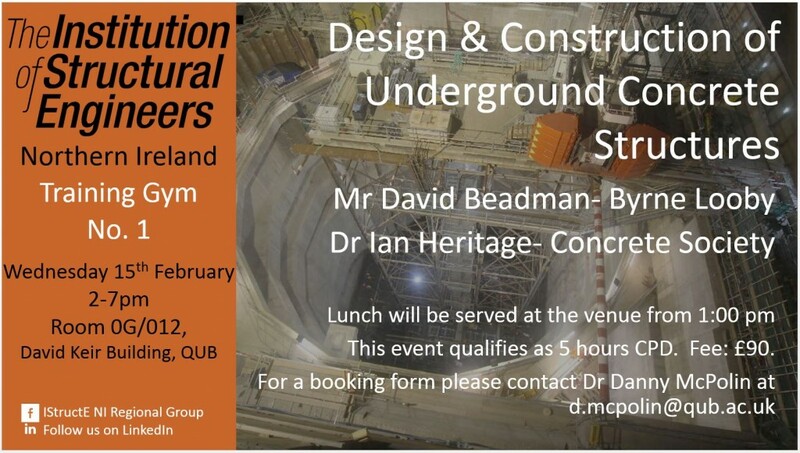 This is a unique opportunity to hear the inside story of this £48 million project from the first design proposals (back in 2005), the detailed design, through to the construction work on site, and the operating arrangements. 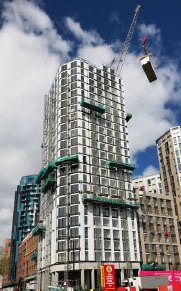 The steel tower has been designed with two novel structural systems to mitigate any dynamic responses during high winds and was erected, without the use of a crane, by a unique “top-down” jacking method specially designed for this project. Geotechnical engineering has seen a rapid growth of interest in risk assessment methodologies. This seems a logical evolution, since soils and rocks are among the most variable of all engineering materials, and geotechnical engineers must often make do with materials they are dealt with at any particular site. A probabilistic analysis may lead to a “probability of failure”, as opposed to the traditional “factor of safety”, representing a fundamental shift in the way engineers need to think about the suitability of their designs. 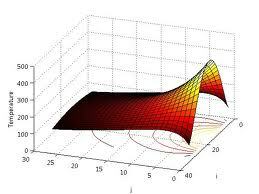 The seminar will review some of the benefits and potential pitfalls of these different approaches and describe some introductory methods of probabilistic analysis. With just two weeks’ notice, Monash was tasked with instrumenting and monitoring six bridges for multiple superload movements of U-trough bridge beams intended for a Level Crossing Removal Project in Melbourne to take place over 4 weeks. This project entailed multiple aspects atypical of even usual superload movements, most particularly the short time frame, the need to maintain traffic flows under the bridges, and the consideration of vandalism. In this talk, Dr. Caprani will outline the background to the project, the extraordinarily compressed timeframe, and the structural health monitoring solutions for each bridge adopted. The technical aspects of the theory and the instrumentation will be introduced. The AGM will be followed by an Evening Lecture on the Design and Construction of Quay Berths 26 and 27, Dublin Port by Mr. Richard Browne of L & M Keating Ltd. This project comprised the design & construction of 120m of quay wall incorporating two bank seats and one interchangeable linkspan. The quay wall consisted of 33m long, 1.4m diameter combi wall tubular steel piles driven through port clay with a driven tie back wall. 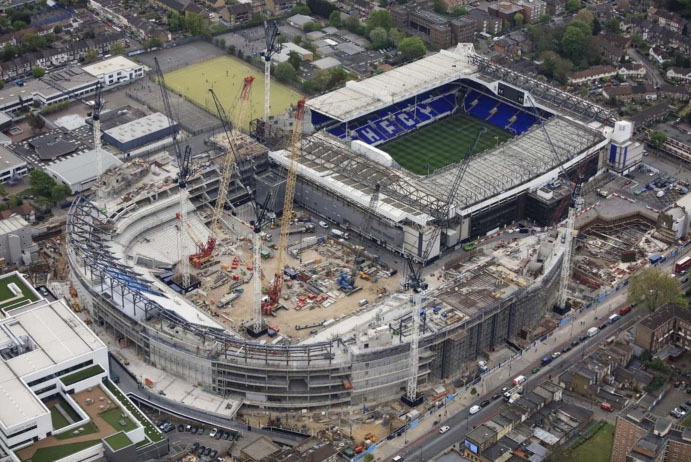 A high capacity concrete deck, M&E installation and approaches completed this phase of the works. The lecture presents the key challenges faced by the Contractor and innovative solutions developed to deliver these critical marine structures for the Port of Dublin. 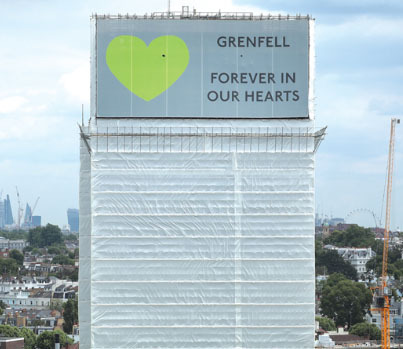 The fire at Grenfell Tower in London was a catastrophe which resulted in the deaths of 72 people. As welI as the legal Inquiry into the circumstances there was an Independent Review of Building Regulations and Fire Safety commissioned by government that was published in May 2018. This Review, by Dame Judith Hackitt, found that the existing system is not fit for purpose and makes 50 recommendations for a sufficiently robust regulatory system for the future to ensure that buildings are safe. The regulatory implications of the report will be described along with the measures that are being taken to improve safety. Other recent major failures and fires will also be discussed. 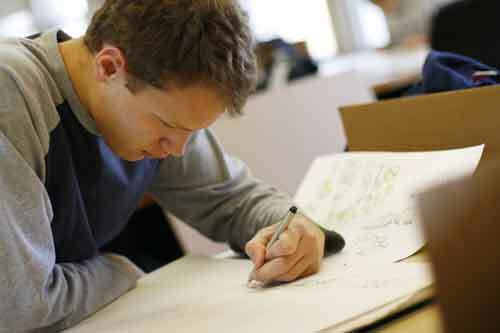 This course has been specifically developed for engineers; each attendee works from the unique Drawing Gym exercises to rapidly learn and apply techniques including axonometric, 1 and 2 point perspective, and section. The course motivates people to communicate effectively and provides a broad set of skills for expressing ideas in the design process. June 5th, Design and Construction of the Royal College of Surgeons Building at York Street. Venue DIT – tea/coffee from 6pm. Lecture starts 6.30pm. October 23rd, Structural Design of Theme Park Attractions. Annual IStructE/EI/ICS Cork lecture. 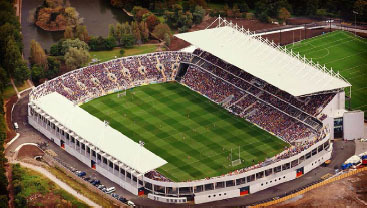 Venue Rochestown Park Hotel, Cork – tea/coffee from 6pm. Lecture starts 6.30pm. 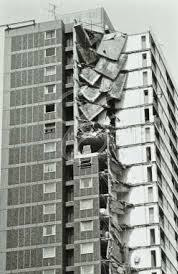 November 13th, Structural Safety and Failings. Venue DIT – tea/coffee from 6pm. Lecture starts 6.30pm. We have a number of other Evening Lectures to be confirmed shortly for 2018. Details will be posted shortly. This timely evening lecture will provide up-to-date information on these proposed significant changes to the Building Regulations which will be highly relevant to Structural Engineers and related professionals. Attendance is highly recommended. The Institution of Structural Engineers’ Chartered Membership Examination tasks you with demonstrating the validity of your training and experience. 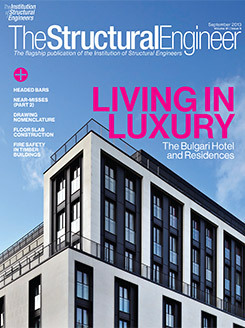 Examiners must be satisfied that you have conveyed an understanding of structural engineering principles, an ability to initiate and communicate structural design and provide an effective solution to a structural design problem. The examination is seven hours in duration. You must answer one question from a choice of five. 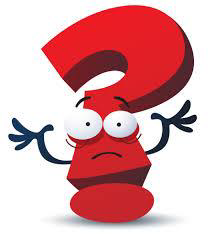 All questions have two sections and BOTH parts of the question must be satisfactorily answered to achieve a pass. The Chartered Member (CM) Prep course this year will run for 4 weeks commencing on Tuesday, 10th April 2018 in Dublin Institute of Technology, Bolton Street from 6:00 to 9:30pm, with a short recess approximately half way through. The course fee is €300 for members of the Institution and €500 for non-members. If you are interested in participating in this course please return the booking form(linked as “further information” below) to orla.mannion@arup.com before 28 March 2018. This talk will give a whistle-stop tour of the project, then focus in on the structural engineering innovations – from the visible to the invisible – which we hope will help the cultural center bring enjoyment and delight to the public; now, and for many years to come. 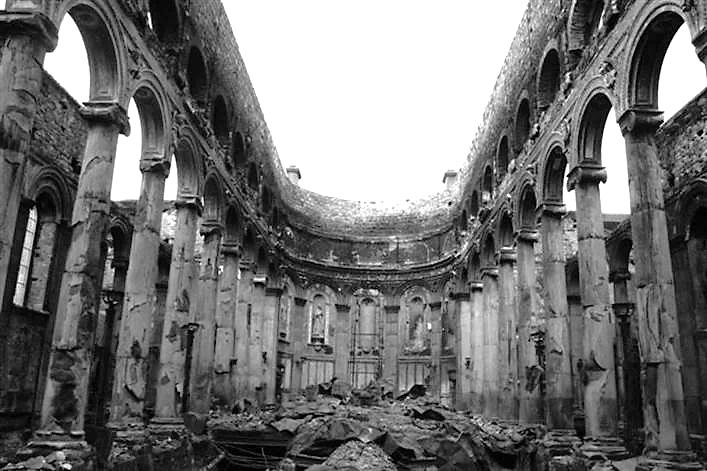 Allan’s original paper was published in ‘The Structural Engineer’ to coincide with the 70th anniversary of VE Day. It recognises the contribution made by structural engineers to the war effort during the periods of conflict between 1914 and 1945. The Regional Group Student Prize is awarded each year, for the best Final Year Project in the subject area of Structural Engineering. At the evening meeting, the nominees will each make a short (10 minute) presentation on their project and then answer questions from three industry-representative judges. The evening promises to be highly informative, especially for final-year students. This lecture will be of interest to all practicing engineers and engineering students with an interest in large scale infrastructure projects. Mr. Ciaran Murtagh, Managing Director, Shay Murtagh Precast, will present details of recent innovations in the precast concrete industry and the role of innovation in contributing to the successful completion of some of the largest and most complex infrastructure projects in Ireland and the UK in recent years. The lecture will outline the need for the project, the appraisal of Options to date, and the next steps involved in the current ‘Environmental Impact Assessment and Planning Stage’ of the project. It promises to be a very interest lecture. 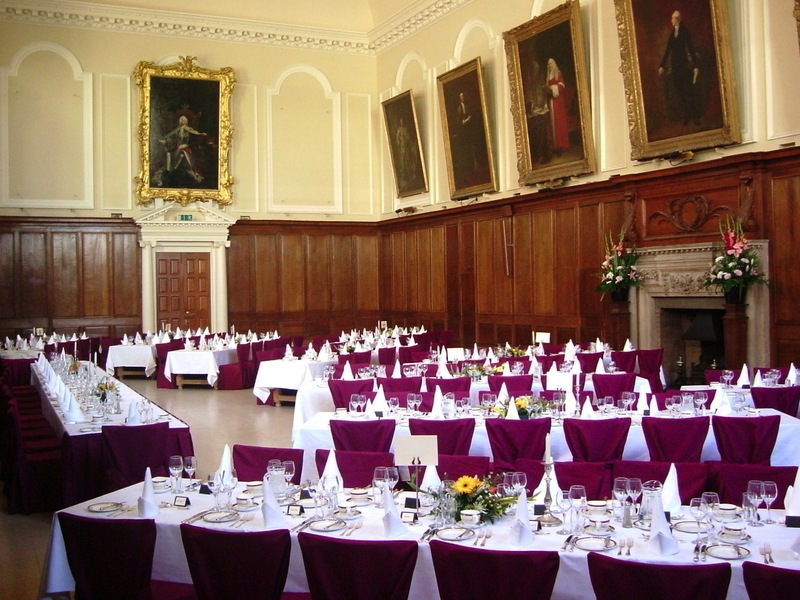 The Dining Hall, Trinity College Dublin, College Green, Dublin 2. The Republic of Ireland Regional Group of the Institution of Structural Engineers is pleased to announce details of the Annual Dinner 2016. This is the principal social event for members and we would like to welcome all members, guests, colleagues and friends in groups or as individuals. o Ticket price is €85 per head. o Ticket price will include a pre-drinks reception and half a bottle of wine per person. 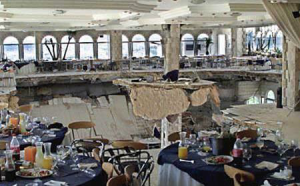 o Members will be seated at dining tables which are more suitable to accommodate individual members as well as company groups. The dinner will be attended by the President of the Institution in 2016, Mr Alan Crossman, the Chief Executive, Mr Martin Powell and our speaker for the evening is Mr Sean Boylan, former Meath Football Manager, Internationally Renowned Herbalist and Motivational Speaker. Pre-dinner drinks reception starts at 7.00p.m with the dinner beginning at 8.00p.m. (black tie). To confirm your place, please download our reservation form here. Email: orla.mannion@arup.com Phone: 086 3757510 . Please return all reservations by Friday 5th February. The RIAI and the BRE Academy present a series of BRE Academy BIM training courses leading to BRE BIM Membership for RIAI members. These courses are non-technical aimed at Project Leaders & Managers. The RIAI is offering this course to RIAI members because, as the use of BIM in construction projects increases, it is vital that architectural professionals take on the role of BIM Information Manager to complement their role as Design Team Leader. The RIAI are actively endorsing and promoting the use of UK PAS1192 standards in Ireland, and accreditation provides a means for companies to demonstrate their BIM capability. This is particularly relevant to practices delivering services in the UK & Northern Ireland, where BIM will be mandatory on public projects by 2016. The AGM will be followed by an evening lecture. 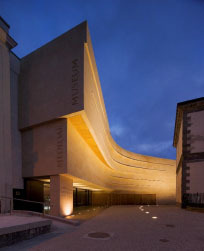 See www.istructe.ie for details of the lecture which will be at 18:30 (following a tea/coffee reception at 18:00). Evening Lecture: Foundation and Retaining Wall Design in Dublin’s Soil. 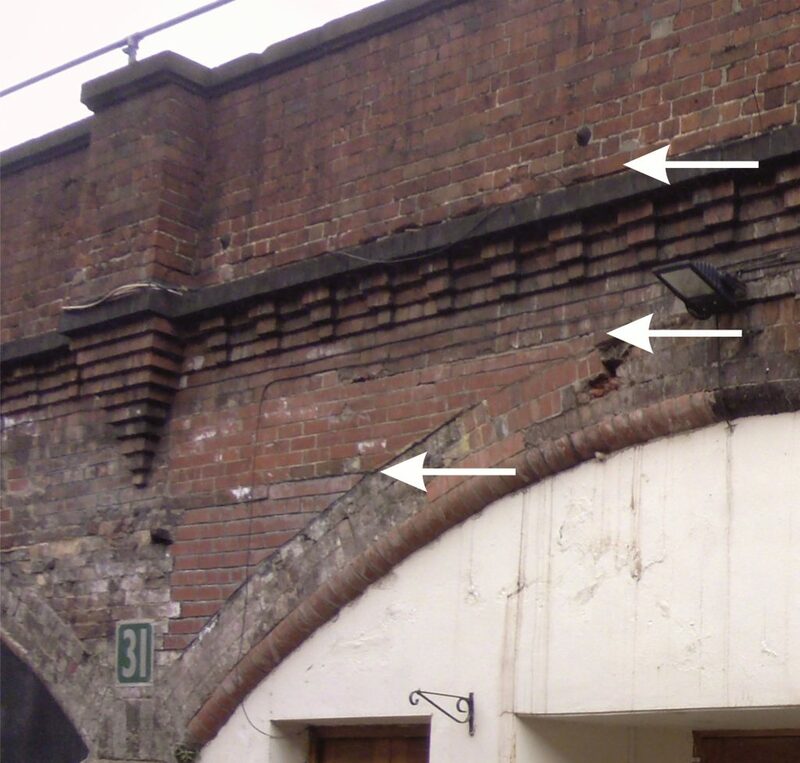 This lecture Eric Farrell of AGL will review the extensive information on the ground conditions in Dublin gained since 1990 and relate this to foundation and retaining wall design to EC7. On the 1st March 2014, S.I 09 (or BC(A)R) was introduced relating to the commencement and certification of construction works came into effect. This lecture is an insight into the progress of the industry 18 months on from implementation of these new regulations. This half day course presents an understanding of the strategy involved with current structural code provisions and presents a comprehensive treatment of the second order analysis and design of sustainable, safe and economic steel structures. Course participants will be provided with an overview of the provisions of Eurocode 3. 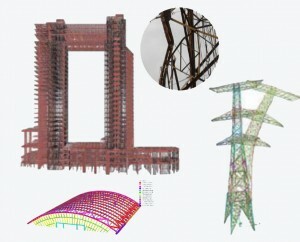 An explanation of the various types of structural analysis and conventional design to Eurocode 3 will be covered. Emphasis will then be placed on analysis and design techniques including the treatment of frame and member imperfections, second order PΔ and Pδ effects and the interpretation of analysis results. 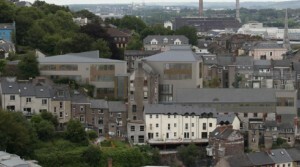 Design and Construction of St. Angela’s College, St. Patrick’s Hill, Cork. 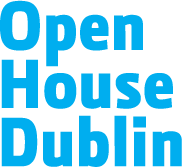 John Lee of Malachy Walsh and Partners will explain some of the challenges presented by the site and outline how the contemporary design developed by O’Donnell and Tuomey Architects was realised in an Engineering context. David McCarthy of L and M Keating Civil and Engineering Contractors will discuss how the project was executed through the construction phase. Lance Armstrong dismounted at this point in the 2009 Tour of Ireland but the Hill is not too steep for the Pupils and Staff of St. Angela’s College. Obtaining the DAC was a challenge! The sudden collapse of the Rana Plaza building in Bangladesh in April 2013 killing 1,132 workers forced the global garment industry to question the true cost of clothing. As a result, Arup was approached to develop a methodology which could be used to assess factory buildings and be applied to a large number of factories over a short period of time. Over 2000 factories have been assessed to date, with Arup undertaking 600 of those. In this lecture, Aidan Madden and Shane Redmond of Arup will outline the challenges faced in setting up and implementing the methodology and give details of their experiences both on the engineering and cultural aspects of working on such a project. In this presentation Con Kehely will discuss the development of concrete by Portland Cement. 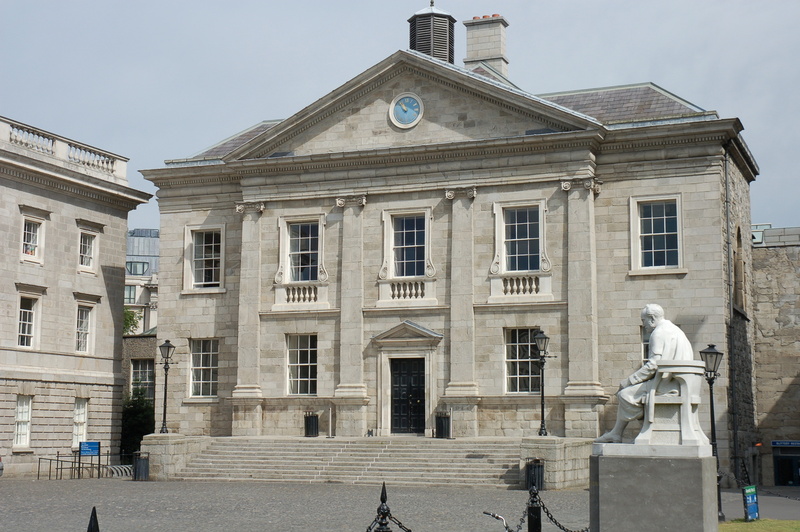 Focusing on Ireland, Con will explore the early days of cement and concrete using examples such as Dublin Port, O’Connell Bridge and Arklow Town Hall. 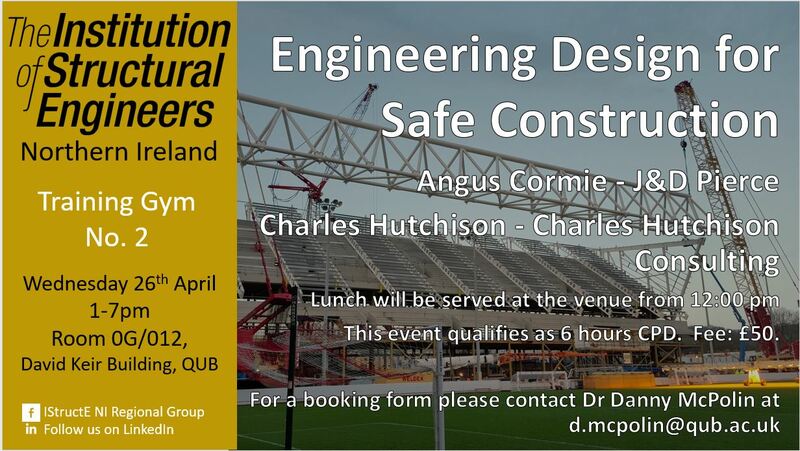 This event is jointly hosted with the Structures and Construction division. When opened in 1964, the Forth Road Bridge (FRB), with a main span of 1006m, was the 4th longest in the world and was the 1st long span bridge to be built outside the US. Having recently celebrated its 50th anniversary the FRB now transports over 25 million vehicles per year and is a vital link in Scotland’s strategic road network. However, the operation and maintenance costs of large cable supported bridges such as the FRB are often underestimated by those funding their initial construction. 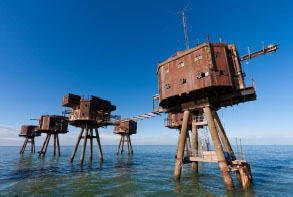 It would also appear that new design and construction of large cable supported bridges are still undertaken without much reference to those who have the experience of maintaining and operating them. This presentation will delve into these topics and describe the maintenance works carried out on the FRB over the past 15 years so as to ensure structural integrity for its remaining service life. Barry is a Chartered Civil Engineer and Fellow of the Institution of Civil Engineers. Barry is author of a number of technical papers on bridge engineering and is a European Committee member of the International Cable Supported Bridge Operators Association. 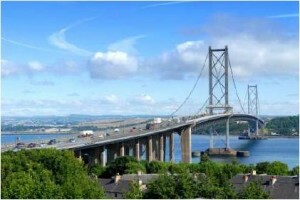 He represents the Long Span Bridges Group on the UK Bridges Board and Bridge Owners Forum. He is involved with both Edinburgh University and Edinburgh Napier University in their MEng and MSc courses. He is the Chief Engineer and Bridgemaster of the Forth Road Bridge. 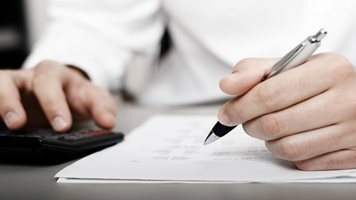 The course is aimed at Graduate Engineers working in a Consulting Engineering Office, with a minimum of one year’s work experience, who have not had the benefit of a properly structured training programme to enhance their development and progression from Post Graduate Stage to Chartered Engineer. The course is broken into two semesters and covers topics in semester one which are of interest to both Mechanical & Electrical and Civil/Structural Graduates. Semester two will be split into two categories (a) Civil/Structural -focusing specifically on practical aspects of design codes and construction methods, together with some relevant case studies. (b) M&E –focusing again on practical aspects together with some relevant case studies . Note details of the M&E semester two topics will follow when these have been finalized. Topics covered in Semester One are intended to improve the young consulting engineer’s understanding of non-technical as well as technical issues that arise in the performance of their day to day duties. The programme will commence on March 28th. This will take the form of structured lectures covering 14 training Modules comprising half-day Saturday sessions and Wednesday evening lectures. Semester one will finish on Saturday May 9th and Semester Two will run from October to Mid-November 2015. A “Certificate of Course Completion in Design” is issued jointly by ACEI/IStructE to participants who successfully complete the course involving the submission of course work. This course is a CPD accredited event. 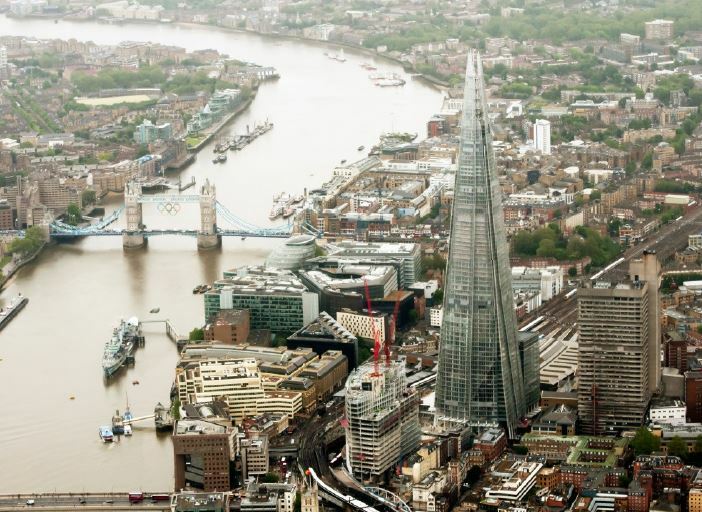 At 306m above ground level, the Shard is the tallest building in Western Europe. 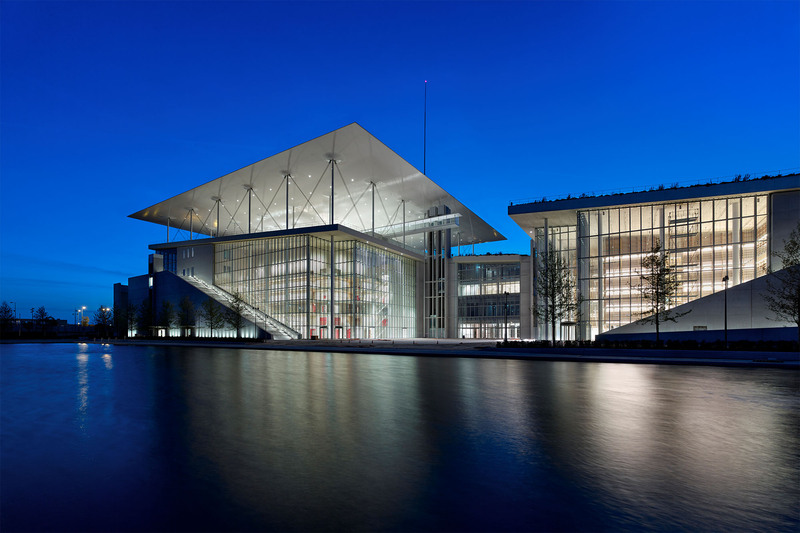 It was designed by structural engineers WSP and architect Renzo Piano Building Workshop for client Sellar Properties. The structure combines innovation and elegant simplicity to provide a building that delights its users and London as a whole; and was economical, rapid and safe to build. 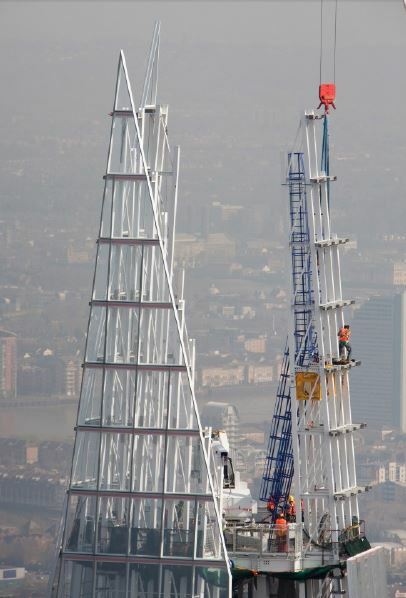 Pioneering techniques included a core built downwards at the same time as it was rising upwards; a tower crane that rose continuously as the building grew; and modular construction of the spire. John is a Senior Technical Director in the WSP London structures team. His experience includes buildings, railway stations and footbridges and he has worked with many of the most respected architects in Europe. Aaron Condren, BEng (Hanley Pepper Civil & Structural Consulting Engineers). Aaron graduated in 2013 from Dublin Institute of Technology, Bolton Street, with a First Class Honour in Structural Engineering. Prior to joining Hanley Pepper, Aaron worked for 5 months in London with Duffy Associates Consulting Engineers where his work was primarily associated with residential refurbishments and basement installations. Upon joining Hanley Pepper, Aaron has gained extensive experience on various projects from small scale residential developments up to large scale data centres, including extensive experience on steel frame structures, in 3D modelling programs such as Revit, CADS and SCIA. 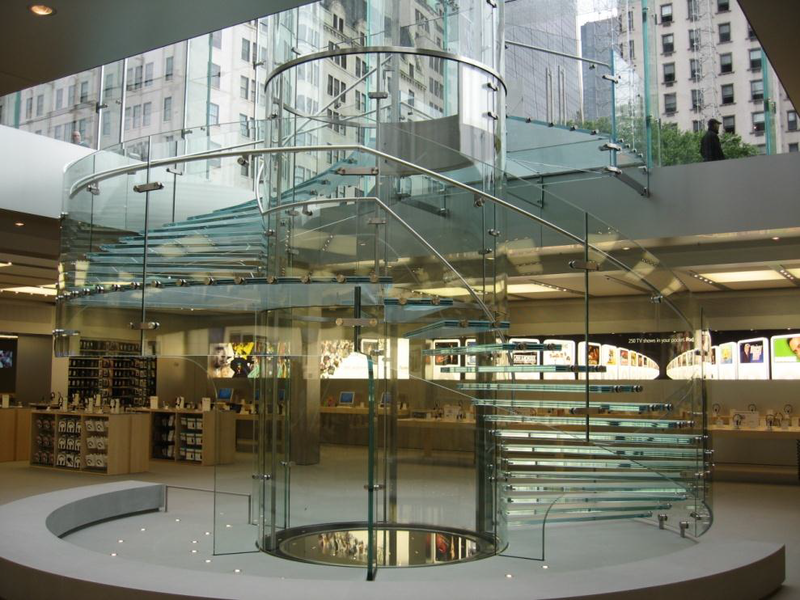 Aaron also works closely with architects and other design consultants on project development plans. Tom Tobin BE(Hons) (Walls Construction Limited) is a 2013 graduate of Civil Engineering at University College Dublin. As part of his degree, Tom spent time with Golder Associates on site in Aughinish Alumina Co. Limerick, and Lisheen Mine Co. Tipperary. Since Tom’s graduation he began working with Walls Construction Limited as a Graduate Engineer, and has recently been promoted to Site Engineer based on the St Luke’s Hospital extension in Kilkenny. Click here: Graduate_Evening_2014 to download a flyer to publicize the event. In this lecture, Aidan Madden and Billy Allen of Arup will outline the challenges faced in setting up and implementing the methodology and give details of their experiences both on the engineering and cultural aspects of working on such a project. The lecture was delivered on Tuesday 30th September 2014 in DIT Bolton Street by Mr Kieran Ruane, Director, RPS Group, and Mr Roger Tegart, Director, Cronin & Sutton Consulting Engineers. Kieran and Roger discuss the IStructE chartership exam and provide advice and some useful tips based on their own personal experience. Kieran and Roger have over 40 years combined experience in the field of structural engineering and provide invaluable advice for those intending to sit the exam in the future. 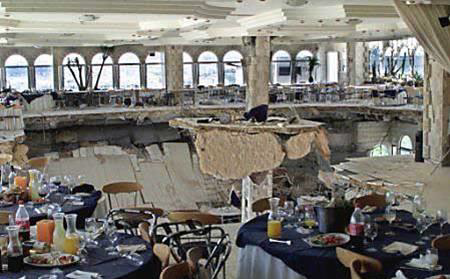 Scour of foundations by the action of water is a major cause of bridge collapses worldwide, and it is important to manage the risks in an effective and consistent manner. A key part of that process is the inspection of structures to identify those that are most at risk and require further action. 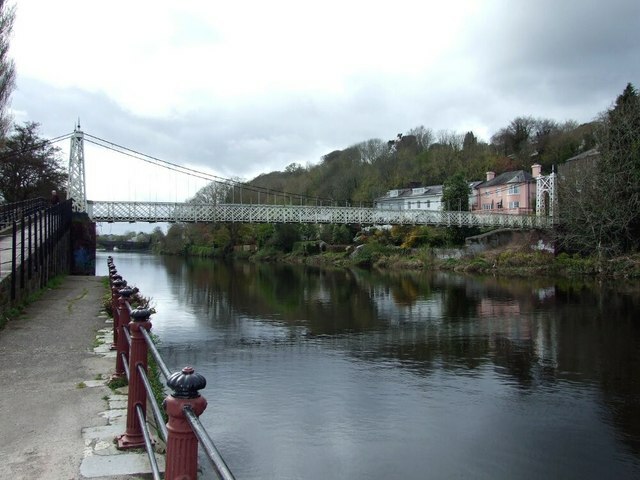 In this lecture Brian Devlin, Chartered Engineer, and Managing Director of CEI Collins Engineers Ltd will focus on the different types of scour and what constitutes a scour-critical bridge. Traditional methods for conducting scour inspections will be outlined. The presentation will also describe the modern imaging tools used to assist in the evaluation of bridges for scour. All are welcome. Admission is Free! BAM Building has invited members of the IStructE YMG to the Research Hub Phase 1 building in DIT Grangegorman. This facility is a new Science Research and Incubator Facility for the Dublin Institute of Technology and Associated Works. This site visit will provide useful insight for all young engineers into one of the few large-scale Dublin based construction projects at the moment. Please note that all attendees must have the required PPE (Hard Hat, Steel-toe Boots, Hi-Vis Vest, Safety Glasses and Safety Gloves). The Site Infrastructure and Public Realm (SIPR) project is a massive undertaking which covers the entire Grangegorman site and consists of the laying of all utility services, major earthworks and development of the public realm – paths, roads, green areas, lighting, seating, bike parking, etc. Phase one of this contract delivered the initial public realm to allow the first 1,000 DIT students to come onsite in September 2014. As well as delivering all of the site’s utility services, this project also delivered a new surface water pipe connection to Smithfield as required by Dublin City Council and all of the new outdoor sports facilities. Brian Heron BE, PGD H’way & Geo. Eng., MSc, CEng M.I.E.I. Is a Chartered Civil Engineer and Associate with O’Connor Sutton Cronin & Associates, one of Irelands Leading Multi-disciplinary Engineering Consultancy’s. Brian has over 15 years of professional experience in the design and delivery of a wide range of civil engineering projects. Brian was the Senior Resident Engineer on the Employer’s Representatives team responsible for delivering the Site Infrastructure & Public Realm project. All are welcome to attend the event and admission is free. A flyer is available to publicise the event via the following link: Grangegorman Flyer. IMPORTANT: Changes to CM exam! For your information, please find attached a press release and a Q+A document advising of the changes to the Institution’s Chartered Membership examination. The press release and Q&A document is also available via the ‘Member News’ section of the institution website via the following link. “Techrete has a vacancy for a Graduate Engineer to work in their Dublin based design office. The successful candidate would work within our design office under the supervision of a Chartered Structural Engineer. The work involves the design of precast concrete elements (typically facades) and the fixings to the primary structure. The European technical committee dealing with Structural Eurocodes, CEN/TC 250 has started a systematic review of the suite of Eurocodes. The review will be phased. The first phase includes the review of 31 out of the 58 parts of the Eurocodes. The 31 parts available for comment are listed on the NSAI website, accessible via the link below. 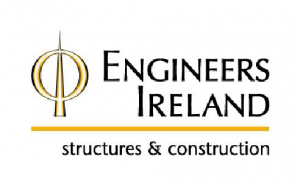 This is an opportunity for the Irish engineering community to identify any modifications that are required to improve the suite of Eurocodes. Please follow the link to comment. James Daly Memorial Lecture 2014 – Tuesday 11th March, DIT Bolton St. The James Daly Memorial Lecture 2014 will take place on Tuesday 11th March, Room 281, DIT Bolton Street. A pre-lecture reception will take place at 18.00, with the lecture commencing at 18.30. The topic of this years lecture is the redevelopment of 10 Trinity Square, London. A flyer to publicise the event is available via the following link. 10 Trinity Square was opened by David Lloyd George, then the British Prime Minister, in 1922. It is best known as being the former headquarters of the Port of London Authority. It overlooks the River Thames at Tower Hill, in the southeastern corner of the City of London and is one of London’s most important historic buildings. The building was purchased by Reignwood in 2010 in order to re-develop the building as a 5-star hotel and luxury apartments. Barrett Mahony are the project civil and structural engineers acting on behalf of the design and build contractor and this presentation explores the challenges and complex engineering issues faced during the re-development of this Grade II listed building. Venue: Room 281, DIT Bolton St.
A video of the lecture on The Structural Use of Glass in Buildings by Chris O’Regan, BEng(Hons) CEng MIStructE as part of our AGM Evening Lecture on Tuesday 10th December, is now available to view on Youtube via the following link. A worked example can be downloaded via the following link. With the introduction of the new building control inspection regime and certification process just around the corner, now is a good time to learn or refresh on all aspects of the building regulations and their associated technical guidance documents. Cork Institute of Technology are running their 6th weekend delivery of their very successful 4 weekend course in “Building Regulatory Engineering” starting on Friday the 21st March 2014. Different areas of building regulations are covered each weekend, from 6-9pm Friday, and on Saturday from 9am until 4pm. An assessment is taken at the end of each weekend, and no formal end of module examination is required. We attach a copy of our introductory letter, together with our lecture schedule. This extensive course on the building regulations is available at the very reasonable cost of €495. Our courses generally have a range of participants from recent graduates to very experienced practising professionals, and we get very positive feed back from all participants. 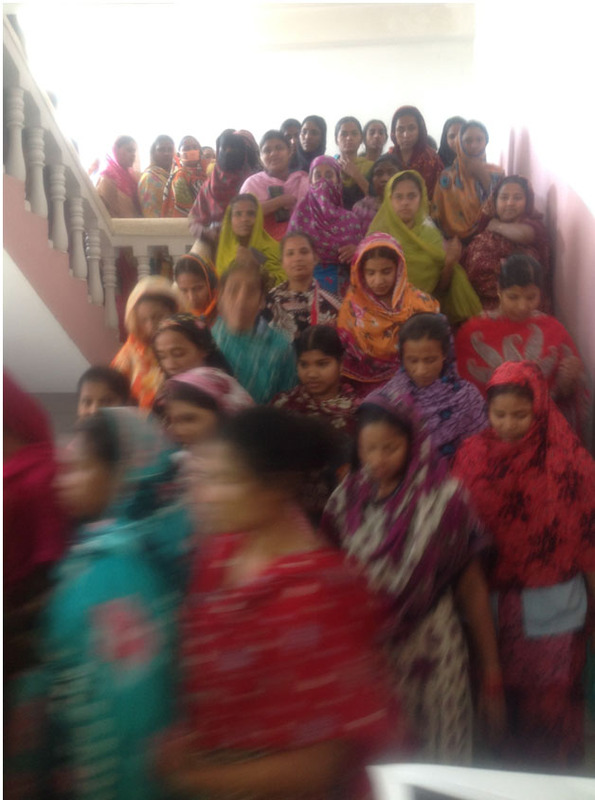 Class sizes are kept small to allow active involvement and to maximise the learning experience. For further information, please contact Andrew Macilwraith on 087 2405605 or visit the course website via the following link. An A4 poster to publicise the course is available to download via the following link. EWBI are delighted to invite you to our first annual National Conference. 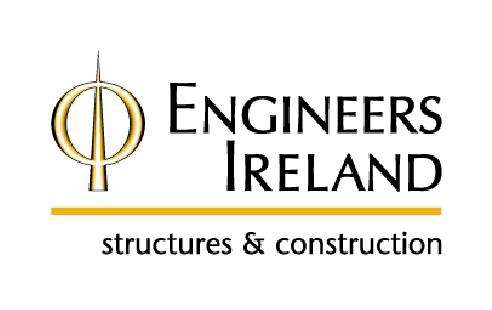 Come and join us at Engineers Ireland, Clyde Road, Ballsbridge, on Thursday 13th February at 6.30pm as part of Engineers Week and learn about what we do and how you can get involved. Guest speakers Siobhan McGrath and Liam McCarton will share their experiences of working as Engineers in the International Development Sector. On the night we will launch our 2014 placements and hear from EWBI’s first placement volunteer, Mark Kenny, about his experience working with the Busoga Trust in Uganda. EWBI invite you to join them for refreshments afterwards, where you will have the opportunity to connect with EWB members. A flyer to publicise this event is available to download here. As part of Engineers Week 2014 (9-15th February), the University of Limerick will hold the 5th Punch Lecture, entitled “A Dead Heap of Stones: Nature as a source of creative engineering design.” The lecture will take place at 7.30pm on Thursday 13th February in the Jean Monnet Theatre, Main Building, University of Limerick. The event has been publicised on the UL website, via the following link. 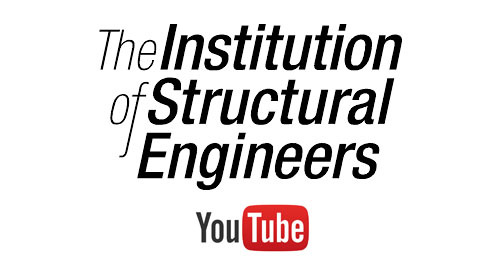 The Republic of Ireland Regional Group of the Institution of Structural Engineers are delighted to support the Punch Lecture series and would like to invite you to a pre-lecture RECEPTION with finger food and refreshments. The reception will begin at 6.30pm on Thursday 13th February in the Jean Monnet Theatre Foyer, Main Building, University of Limerick. Flyers are available to download to publicise the event: 1. IStructE Reception Punch Lecture flyer, 2. Punch_Lecture. The speakers are Prof. Chris Wise and Prof. Ed McCann of Expedition Engineering. Chris Wise was Arup’s youngest ever Director in 1992. He cofounded Expedition in 1999. Ed McCann is an innovative and creative designer with a particular interest in environmental performance. Chris and Ed collaborate with many of the world’s leading architects to realise outstanding projects. 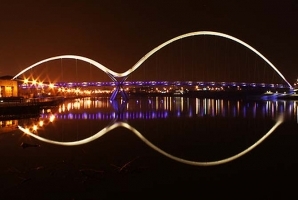 Chris and Ed will give a behind-the-scenes look at many of Expedition’s creative designs such as the Infinity Bridge at Stockton-on-Tees and the London Olympics Velodrome. In their unique style, these exceptional communicators will discuss the sources of creativity in their work as engineers and educators. You will experience their refreshing approach to design and see how it influences their hallmark innovative solutions to engineering problems. The same inspiration applies in their novel educational approach for engineering students at the University of London. This is a must see event for any young person considering a career in engineering. The Chartered Member (CM) Prep course begins next Monday, 3rd February in Dublin Institute of Technology, Bolton Street (map). The course fee is €300. 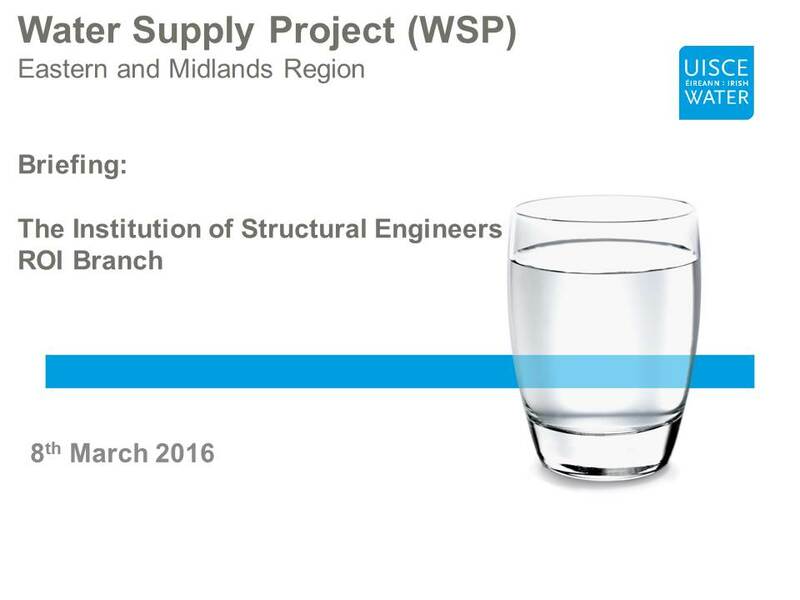 Interested candidates should register in advance by sending their details to: registrations@istructe.ie. The Republic of Ireland Regional Group of the Institution of Structural Engineers is pleased to announce details of the Annual Dinner 2014. This is the principal social event for members and we would like to welcome all members, guests, colleagues and friends in groups or as individuals. Ticket price has been reduced from €90 in 2013, to €80 per head. The dinner will be attended by the President of the Institution in 2014, Mr Nick Russell, the Chief Executive, Mr Martin Powell and our speaker for the evening is Mr Tom Kelly, Divisional Manager, Manufacturing & Competitiveness with Enterprise Ireland. Dublin Institute of Technology,Bolton St, Dublin 1. Email: una.beagon@dit.ie Phone: 086 385 7236 . Please return all reservations by Friday 24th January. The Irish Concrete Society is a well-established learned body, founded to promote excellence in the use of concrete and to also provide a valuable service to the wider construction industry. The Society is seeking to appoint an Executive Officer to further enhance and develop the services offered by the Society. This role will involve working under the direction of, and reporting to, the Directors and Council of the Society; however, the successful candidate must have the ability to work on their own and to promote participation among members and committees. The successful candidate will also be expected to work with minimal day-today direction, be highly self-motivated and have a professional enthusiasm for concrete as a construction material. The ideal candidate should have a third level qualification, preferably a degree in a construction discipline, and have several years’ experience in the construction industry. Excellent communication and interpersonal skills are essential in this role, as is a good working knowledge of information technology. Candidates will be required to demonstrate strong business acumen and administrative abilities. Experience is essential in either concrete technology or structural concrete design and supervision. Chartered professional status would be an advantage. The Honorary Secretary, The Irish Concrete Society, Platin, Drogheda, Co. Louth. The closing date for applications is 17th January 2014. The vacancy is advertised in full on the Irish Concrete Society website (here) and a pdf of the job description is available here. This CPD course is for practicing engineers who wish to gain a basic working knowledge of Eurocodes for structural design. 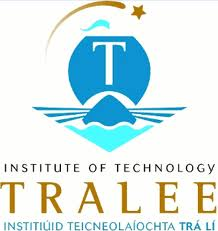 The course will be delivered by John Jones, a Chartered Civil & Structural Engineer from the Institute of Technology, Tralee (ITT) School of Science, Technology, Engineering & Maths (STEM) from January to March 2014. A basic working knowledge of the superseded British & Irish Standards for structural engineering is necessary. 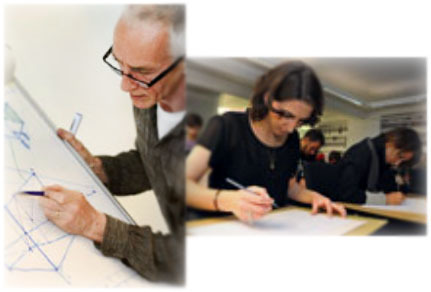 On Wednesday, 30th October 2013, Sophie Le Bourva, Associate Director of Arup, London, and former colleague of Peter Rice shall give a presentation entitled “Traces of Peter Rice”, to coincide with the exhibition taking place in Farmleigh Gallery from 10 October – 23 December 2013. Sophie Le Bourva worked in Peter’s team at Arup from her graduation until his untimely death in 1992. In this lecture she will outline how Peter’s innovative approach to interdisciplinary design of projects inspired people and how his legacy is still doing so today. The lecture will be preceded by a short film on some highlights of Peter’s background and achievements. The event has been publicized on the Engineers Ireland website and is available via the following link. A flyer is available to download and publicize the event: Traces-of-Peter-Rice-flyer. Save the Date! The RoI Regional Group of the IStructE are organising a social event to view the exhibition being held at Farmleigh on Wednesday 23rd October 2013. Further details to follow. 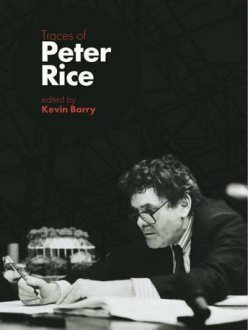 “Traces of Peter Rice” is a collection of essays celebrating the life of the late Peter Rice, 20 years after his death, edited by Kevin Barry (Emeritus Professor, NUIG) and published by Lilliput Press. An exhibition based on the book and celebrating the life and career of Peter Rice will be held in the Farmleigh Gallery between 10 October – 23 December 2013. The book was launched in Ireland by Ruairi Quinn, TD, Minister for Education and Skills, on the 21st February 2013. It is also a companion to a series of three major commemorative colloquia and exhibitions, two of which in Paris and Dublin are contributions marking Ireland’s Presidency of the EU. The Paris and Dublin exhibitions are curated by Prof. Kevin Barry, and are run my the Office of Public Works in conjunction with Arup. The exhibition will include a series of workshops and projects on structural design, and interaction with primary, secondary, and third level students, details of which will be issued in the coming weeks. Continued Professional Development (CPD) is the systematic maintenance, improvement and broadening of knowledge and skill and the development of personal qualities necessary for the execution of professional and technical duties throughout the practitioner’s working life. Undertaking CPD is a commitment to enhancing skills and capability throughout a professional career. Whilst the reporting of CPD is now mandatory for members of the Institution who have become professionally qualified since January 2011, the Institution strongly encourages all members to report their CPD activities. Details of how you can meet the Institution’s reporting requirements can be found in the guidance document below.